We've just expanded our Retro Section, you'll find loads of great kit for that perfect retro fixed bike build or why not just pimp your existing vintage machine, with some spanking New Old Stock parts. As you would expect from Planet X we can offer these fantastic parts at incredible prices. 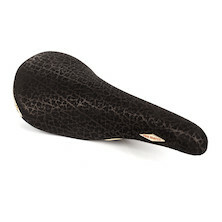 The Rolls Saddle from San Marco has been the ultimate saddle for many sporting cyclists - buy one, feel the exceptional comfort and find out why!